The Chrysler 300 is a full-size sedan that's old enough to be retro-cool again like Zubaz pants. 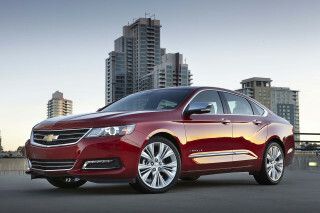 The sedan has been around for a decade, and offers V-6 or V-8 engines. It skips the high-powered V-8s—it once had an SRT offering, though—but can be fitted with all-wheel drive. 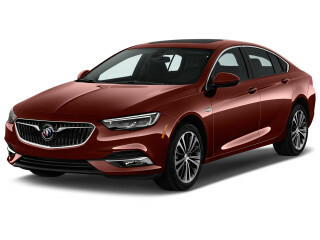 Big-car, old-school styling and its choices in drivetrains make the 300 a rival for vehicles like the Buick LaCrosse, Ford Taurus, Hyundai Azera, and Toyota Avalon, as well as the Charger. Since 2017, Chrysler's only shuffled some of the 300 sedan's features in various trim packages. In 2011, most of the first-generation car's deficiencies were remedied with the launch of a considerably redesigned version of the Chrysler 300. While the 300C's rip-roaring V-8 was carried over, the revised 300 gained a new look inside and out, plus Chrysler's excellent 3.6-liter Pentastar V-6, making 283 horsepower. They also got a much-upgraded interior—in both materials and refinement—and features like a standard USB port, an available navigation system with Sirius Travel Link services, and a Uconnect Web wi-fi hotspot option. For 2012, Chrysler introduced a new 8-speed automatic transmission for V-6 models that further improved performance and boosted highway fuel economy to 31 mpg. The high-performance 300 SRT8 offered up the latest, 6.4-liter high-output version of the Hemi, making 470 hp, while also introducing an adaptive suspension and many other extras. For the 2013 model year, a new 300 Glacier Edition was introduced, with all-wheel drive plus a special set of appearance extras. There was also a new 2013 Chrysler 300 Motown Edition with chrome accents, 20-inch aluminum wheels, blacked-out Chrysler wing badges, and Motown badges on the front fenders. The 300S upped the V-6's output to 300 horsepower through a cold-air intake and sport-tuned exhaust, and there was a new black-painted roof option. At the 2013 Chicago Auto Show, Chrysler introduced a new SRT8 Core model from its in-house high-performance brand, SRT, offering the big engine with cloth seats, fixed dampers, and fewer options, all for a smaller pricetag than the standard SRT model. 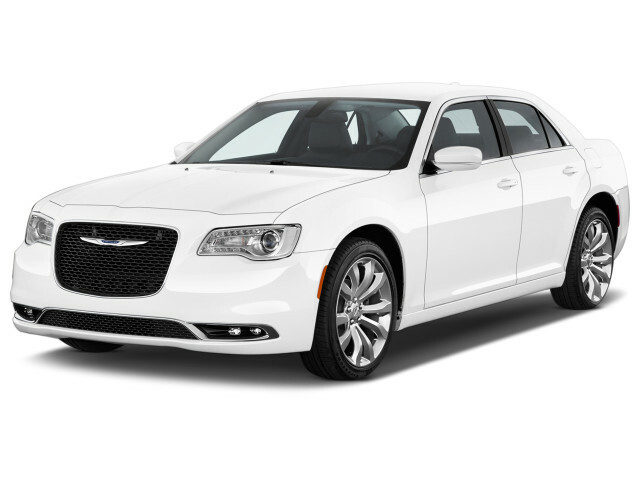 Chrysler gave the 300 a refresh for the 2015 model year. Freshened designs for the front and rear accompany an upgraded interior. The most obvious changes are up front, where the 300 wears updated headlights and a wider grille; the Chrysler winged badge has been moved down from the top edge of the opening into the field. V-8 models also received the 8-speed automatic that the V-6 cars had offered for a while. Chrysler also added a few safety features, including forward-collision warning, as well as a new Platinum model at the top of the range. The interior was given a once-over, with a freshened design and better materials. 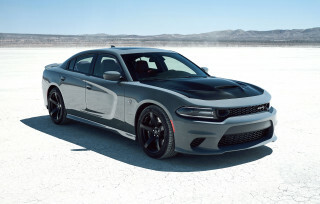 The SRT model was dropped for 2015, and is not likely to return to the U.S. market—with or without the insane Hellcat engine available in the large Dodge cars. For now, it's at least off the table. Chrysler does still build an SRT version of the 300 for export. The 2016 Chrysler 300 received some updates to its technology and suspension, and added a new 90th Anniversary Edition option package to celebrate 90 years of Chrysler automobiles. Tech changes included a new drag-and-drop menu bar on the 8.4-inch touchscreen, the addition of Siri Eyes Free voice control, and a newly available safety package that can prevent or mitigate forward collisions and keep the car in its lane. 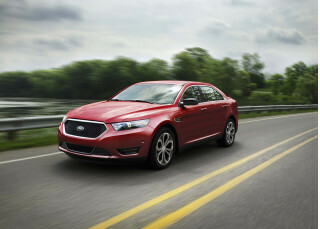 The base suspension became a bit firmer, and S models added performance suspension with summer performance tires. For 2017, the Chrysler 300 got some updates to its infotainment system and added three new option packages for the 300S model. The Uconnect infotainment system featured upgraded processing power, with faster reactions, sharper graphics, Apple CarPlay and Android Auto compatibility, and the addition of pinch, tap, and swipe gesture controls. Interior and exterior Sport Appearance packages were new, as was a 300S Alloy Edition. Launched way back in 2005, the Chrysler 300 marked the return of rear-wheel drive to Chrysler's sedan lineup, replacing the front-wheel-drive Chrysler Concorde and 300M. The automaker took advantage of its Daimler ownership at the time, borrowing some components from an older version of the Mercedes-Benz E-Class. Appearance-wise, the 300 and 300C (the more luxurious version, which came with the Hemi V-8) were a breath of fresh air to the Chrysler lineup, with a taller, boxier look overall and a high beltline that gave these models a macho yet classy look. It was a complete about-face compared to the front-drive "cab forward" designs that Chrysler had followed through the 1990s and up until then. Over the years, the Chrysler 300 lineup changed little. 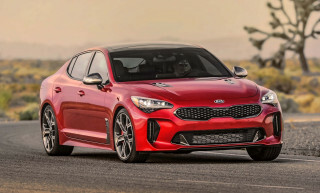 Fleet-oriented base models included a 190-hp, 2.7-liter V-6 that was just barely adequate for the 300; a much better choice was the 250-hp, 3.5-liter V-6, which could move the 300 with more enthusiasm while not getting any worse real-world mileage. The 300C Hemi versions came with a 340-hp 5.7-liter Hemi V-8. Both of the V-6 models were paired with a 4-speed automatic, while the V-8 got a 5-speed automatic. Both the V-6 and V-8 models were available with an all-wheel-drive system. Chrysler also offered the performance-oriented SRT-8 (written as SRT8 in later years), which sported a 425-hp 6.1-liter version of the Hemi V-8 along with upgraded brakes and suspension. Overall, the SRT8, and to a lesser extent the 300C, provided the performance of a muscle car, with a gruff, forceful responsiveness to the powertrain and reasonably good handling, though not a lot of finesse in the steering. Love Love my new 300 its very pretty and love the feel of the road. When i turn it off i can't tell if its off it so quite. I finally got my dream car.